Will of Nature is a game that has been made in roughly 14 days as a college project with 14 other students. 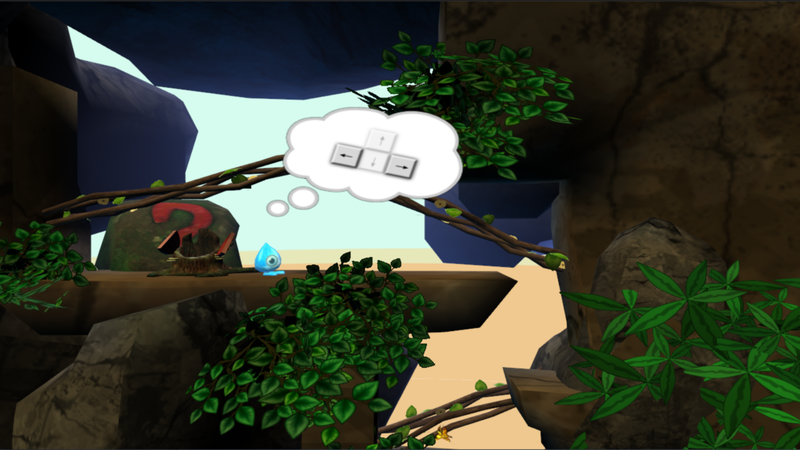 The game is about a waterdrop that has to manoeuvre through a series of levels where puzzles have to be solved to continue. These puzzles are solveable by influences from different environmental effects to turn you into ice, or vaporize yourself in a cloud. In this project I was the technical lead of 3 other programmers, with my main task of having an oversight of what was going on, deciding on implementation choices and bringing design choices/changes through for proper implementation. Next to a lead role I also spent time on general gameplay programming, animation and the effects. // Not every line of code is done by me.